Think back to what you were doing in January of this year. Usually I can’t remember what I did yesterday, let alone what was going on in January but I can tell you broad strokes. It was cold here, probably snowing, because it snowed all winter. I wasn’t eating sugar (errrrr, I really need to get back on that for a bit). And I was dreaming of fall racing. 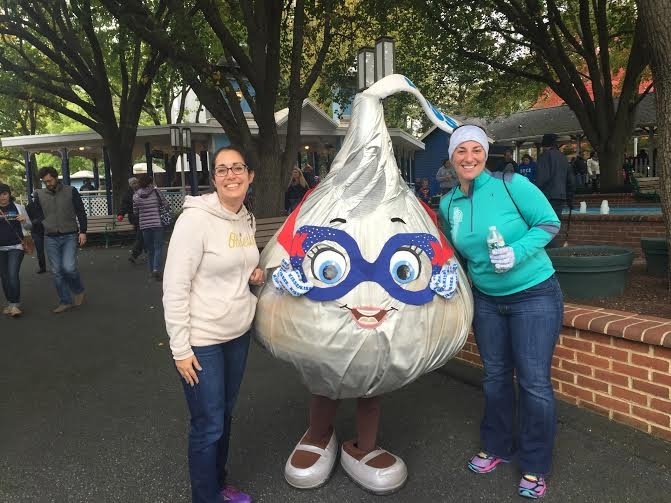 Naturally, when my Florida buddy, Meredith, messaged me asking if I was interested in doing the Hershey half I said, “You betcha!” After checking on logistics of the date, and stalking the website to see when registration opened (May 1st, for the record), we paid our registration fee and processing fee of $81.31. 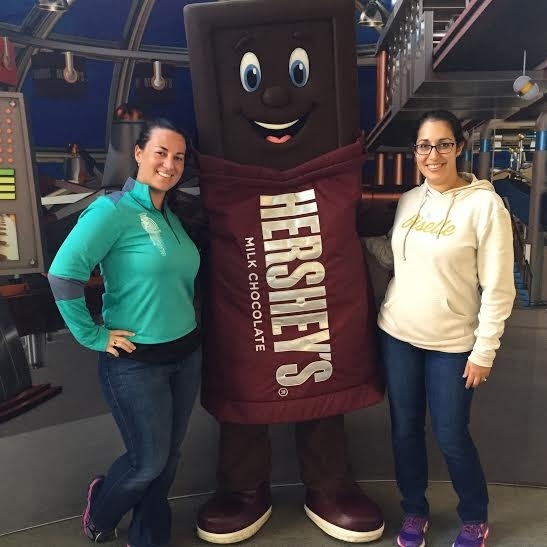 We love you Mr. Hershey! 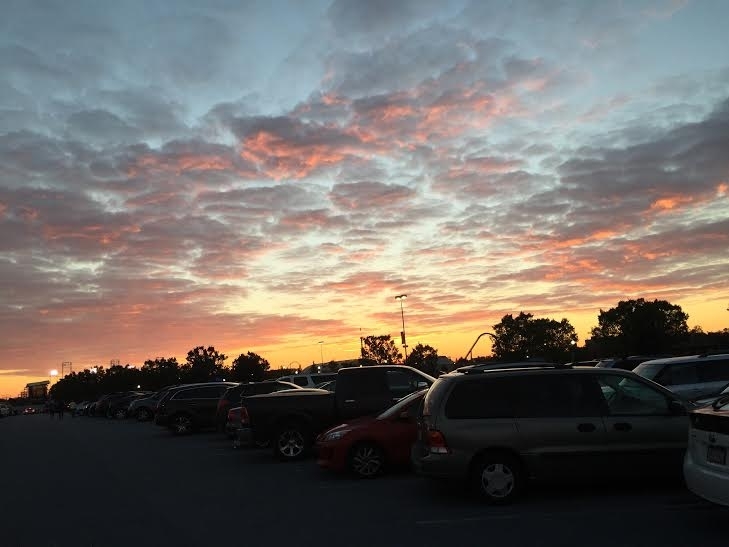 We both went about life after that until September rolled around and we realized, “Oh crap! 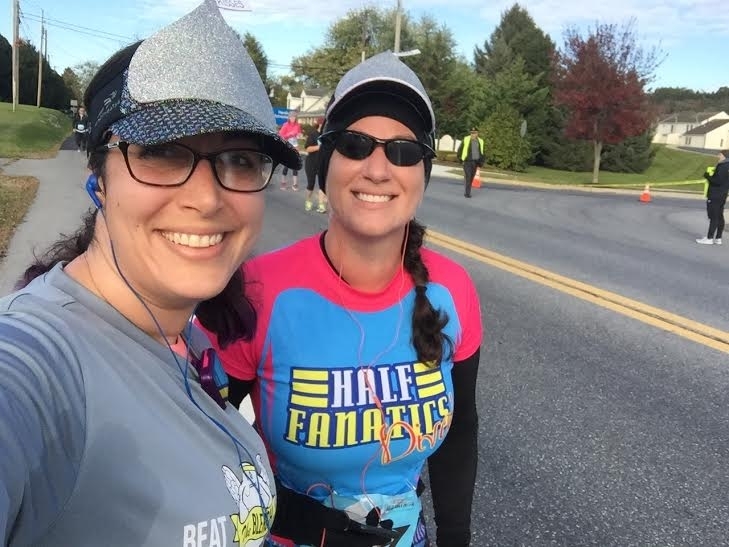 The Hershey Half is next month!” My foot was still on the mend and training was less than stellar but I badly wanted to do this race so I figured that I would be able to keep the 14 minute mile course requirement. Plus MEREDITH! I hadn’t seen her since January when I got a brief glimpse of her running her first marathon in Disney. Our planning was minimal. 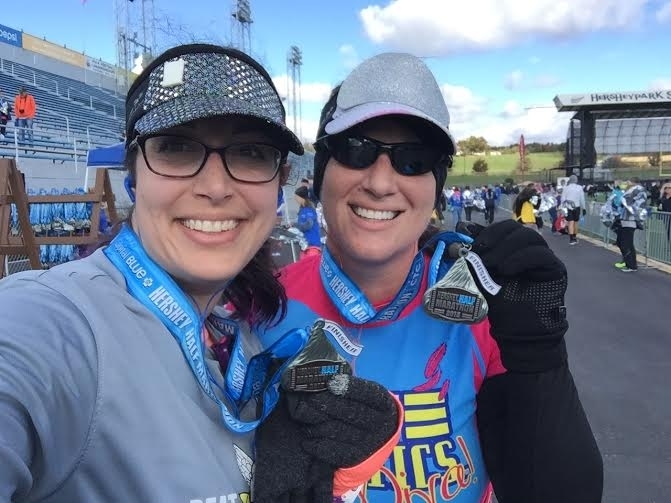 Our mindset was to just have fun and see where the course took us (aka, the finish line). 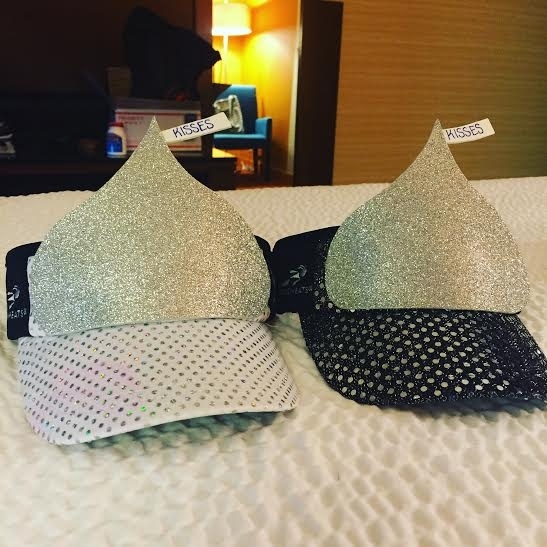 With Hershey Kisses on our Sparkle Athletic visors, of course. Meredith made the kisses! Always doing my part, I supplied the tape. The expo was small and simple, although a little on the breezy side since it was held in the walkway between the arena and outside. 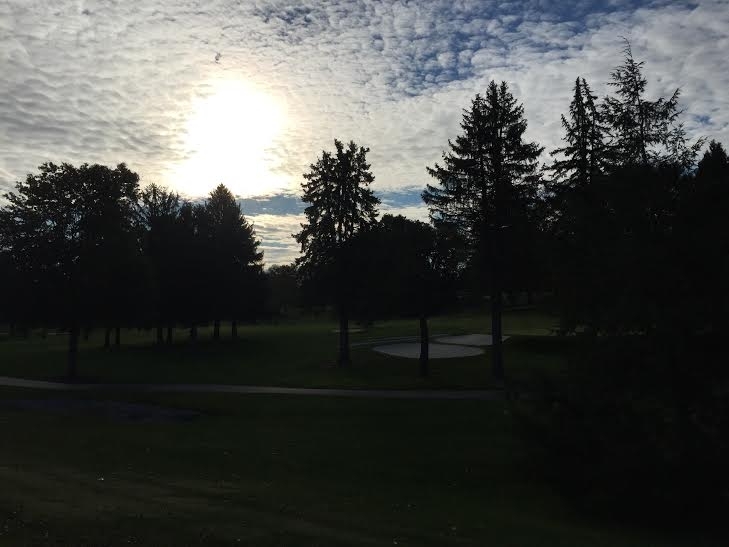 The weather had us worried, with temps only reaching 34 degrees. 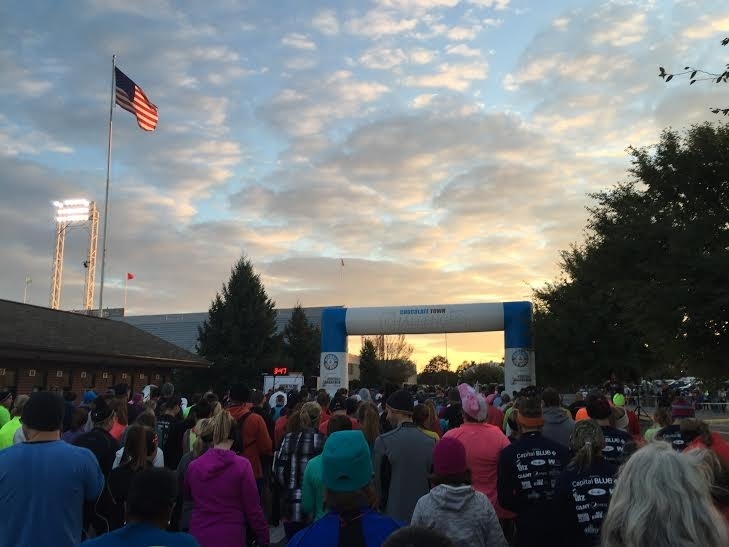 This race comes with lots of perks, besides the basics of the shirt and medal. At the expo we were given cinch bags that had the 13.1 magnets, candy, and two tickets for the amusement park! We put those to good use both Saturday and Sunday. Meredith is used to Florida weather and I’m used to… well, I’m used to this type of weather but I can’t say I love it. As long as there wasn’t wind, we assumed we would be okay with our layers upon layers. On Sunday morning we bundled up; I brought extra tights so we’d both have warm legs and Meredith hand warmers for us. The start of the race seemed a little chaotic. There were no corrals and we weren’t exactly sure where we were going or even where the start was in relation to where we were. We followed the hoards and eventually found our way to where we needed to be. 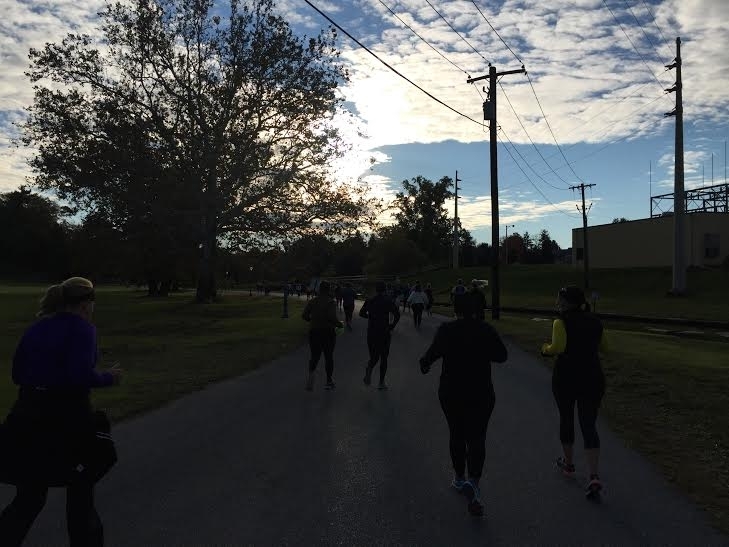 The first mile was crowded as the 5,000 runner took off all together; Meredith and I got separated nearly immediately but I could see her just a little bit ahead of me. I ran the first mile before settling into 1:1 intervals. Right around mile 2 I caught up to Mer and we decided to stick together for the rest of the race with the 1:1 intervals. After that first mile, the course opened up and never felt crowded. Mile 3 was in the park. What you did feel were the hills and they were numerous! Again, I’m in a flat area of New Jersey, so what I consider a hill isn’t really a hill. These were HILLS, all capital letters. The crowd support was really nice during this race. 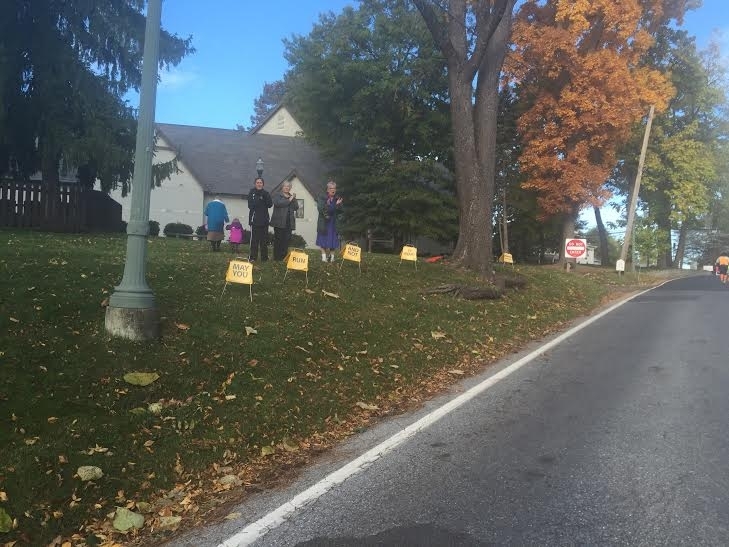 It wasn’t Philly marathon sized crowds however, it seemed like the spectators were spaced exactly right. They knew where they were needed. Always on hills (which, remember, were never ending) and always with a kind word. Everyone was in good spirits on the course, too and I had fun chatting with people throughout. The views were pretty spectacular. Fall in the Northeast, not too shabby. Just after the hydration stop (which were plenty and well spaced) my foot was a little achy. I think it was right around mile 5; I knew that we just needed to push on and get it done. The Meridith/Meredith team cannot be stopped! There was a relay option so at mile 6.55 it was the hand off for that. Usually seeing people with their medals at this point might have been a little disheartening. However, we were thrilled to actually see the medals, as we hadn’t up until this point. They were adorable Hershey Kisses and that put some pep in our step up a hill. The ladies of Desserts, Etc. were handing out COOKIES on the route, so you can bet we grabbed those. 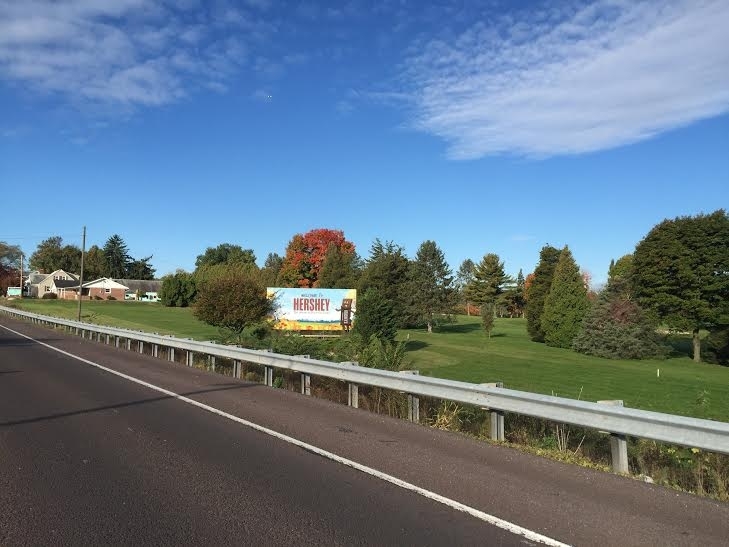 The next few miles were through the Milton Hershey School campus and oh my gosh, those kids. Those kids. What a boost! The only sad part was somewhere along this stretch is where I lost my KISS! My taping skills need work. Whomp. We hit mile 11 which lead us back through town. They were giving out Hershey Kisses which we were pretty happy about and we laughed at these signs. We knew we were in the home stretch at this point. My watch had been reading .25 ahead the entire race but even still, when it alerted me to the fact that I’d run 13 miles and the finish line was nowhere in site, I was a little despondent. The finish was in the arena and I knew we had to be inside but we kept going and going and going. FINALLY, we turned, made our way into the arena and ran as fast as our legs would carry us over the finish line! At the end of the race we were pretty excited to get our Hershey Kisses medals, heat wraps, and recovery bags which were little cooler bags with pretzels, a cookie, granola bar, apple, whey protein bar, and a Hershey bar. Chocolate Town Challenges spares no expense for their racers and it’s appreciated! Overall, I loved this race. I’ve found my most recent races have renewed my sense of strength and self and for that, I’m so grateful. 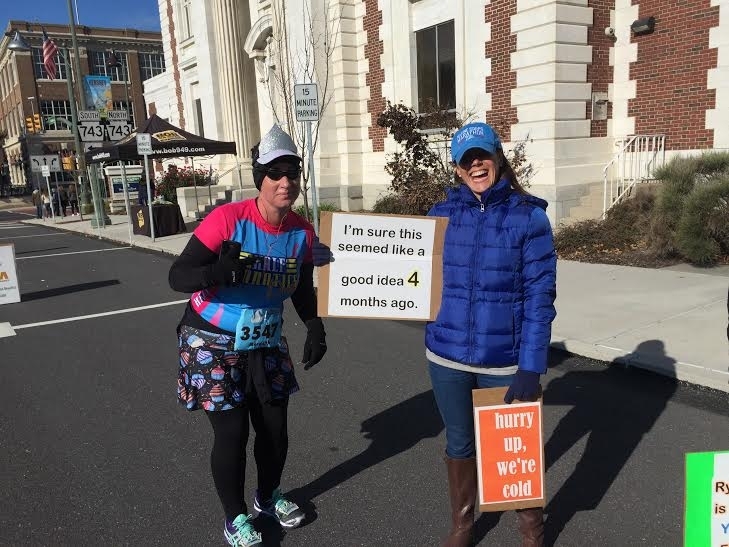 What are your bucket list races? 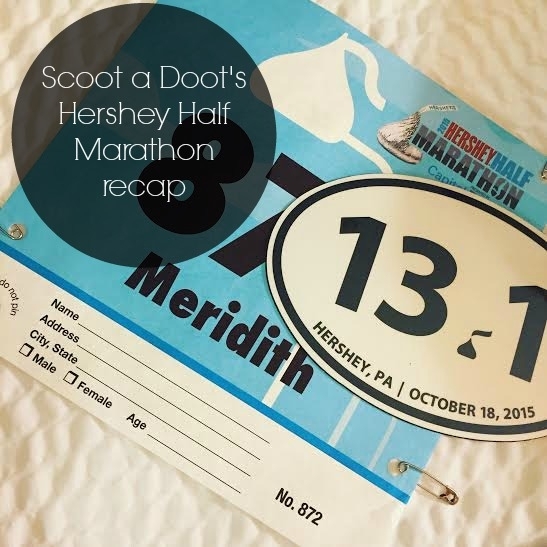 This entry was posted in Race Recap and tagged chocolate town challenges, half, half marathon, hershey, hershey half, Mer, Meredith. Bookmark the permalink. Congrats to you both! Those hills look crazy! But you stuck it out. And that swag sounds pretty awesome! My bucket list includes Ragnar and I am happy to report I will be crossing it off my list in just a couple weeks! 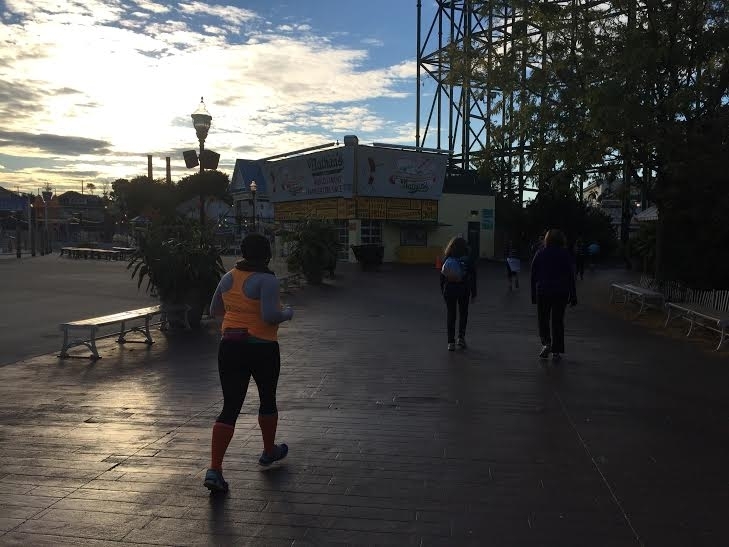 I had been wanting to do this race for a while now but a read a review 2 years ago from a blogger who said it was awful because of the Hills. But, I still wanted to do it cus well it’s Hershey! I just found out about the relay option so maybe that’s what i’ll strive for! Love the kisses visors! I have also considered this race but cowered because of the hills, since hills make me pant a lot (flat Jersey land over here too!). Maybe it would be one that I would go into with a run/walk plan as well. Hmmmm! All that race swag is tempting…. Love the sparkly kiss visors! That race is always on my bucket list as well. It looks like you had a great time and I’m glad it went well for you. I’m also glad to hear you feel renewed too which is a huge step right?! I think you’d really enjoy this one, Rachel! We went on rides both Saturday (after the expo) and Sunday AND there was free parking because we were there for the race, which was pretty awesome. Thanks so much for swinging by, Ciara! And thanks for the hat compliments, they were a big hit in the course and we had so much fun wearing them. I’ll definitely be stopping by your blog!